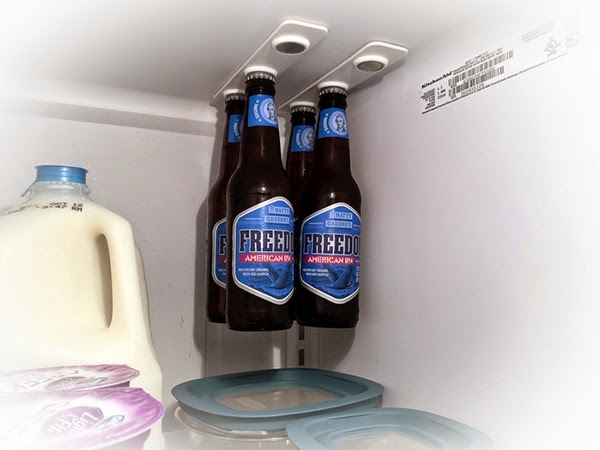 Freeing up some unused space in the refrigerator can solve the crowding problem. 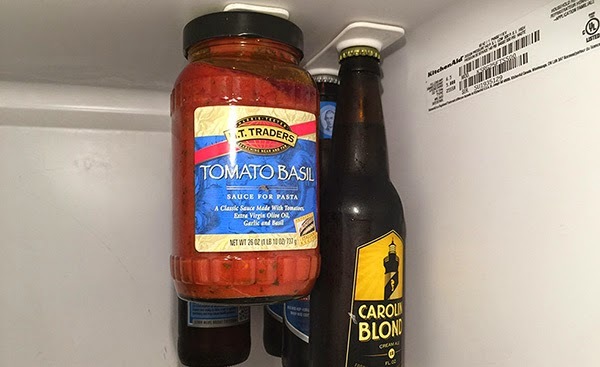 But what to remove out of pizza boxes, bottled beverages and leftovers in Tupperware containers? 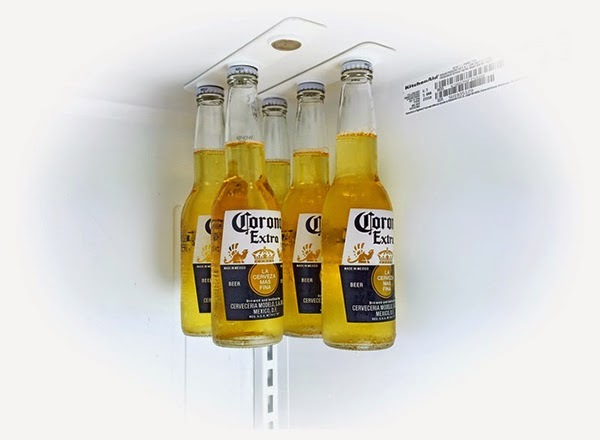 Designer Brian Conti's BottleLoft hanger solves the problem by let your beverages hang at the top of the refrigerator space which is generally unused. 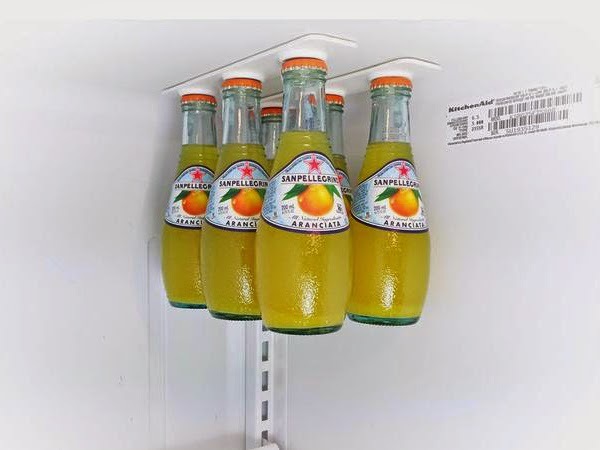 The simple,brilliant and a perfect space saving solution for chilling any beverage with a metal cap. 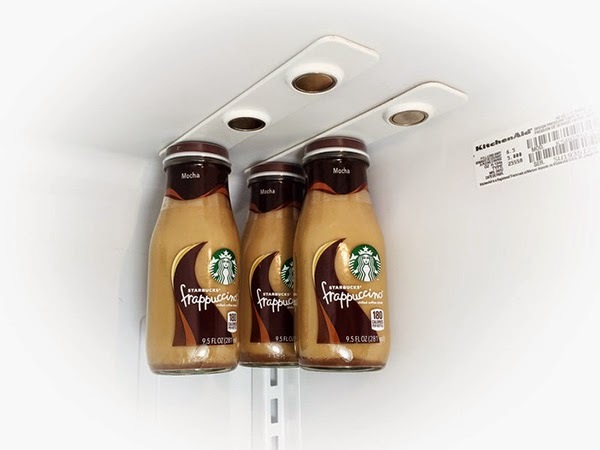 Using custom neodymium magnets that can hold up to 4.8lbs (a standard 12oz beverage weighs 1.2lbs), custom steel focus cups (to direct the strength), a custom plastic rail and 3M adhesive strips. 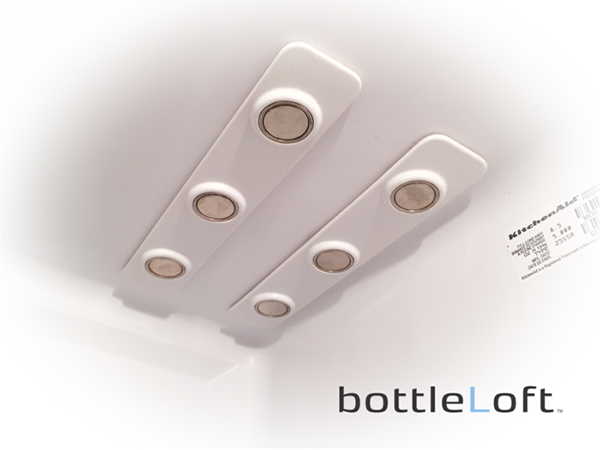 Pre-order at Kickstarter.